Hennepin County and Project for Pride in Living partner to create employment pathways into government AND private sector jobs. Data shows that these programs lift people out of poverty and create a pipeline of qualified applicants with minimal investment. On December 7, learn about a recent study of 66 program participants who increased their average annual wages and decreased public assistance usage. 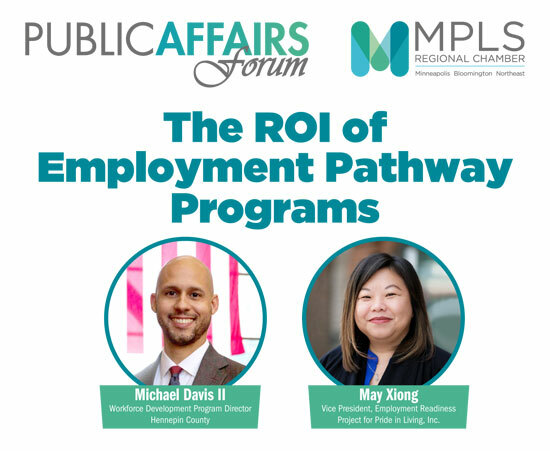 Hear from the leaders of this work at the next Public Affairs Forum. Vice President, Employment Readiness | Project for Pride in Living, Inc.